In East Hollywood, pizza fans are happy to discover the new NY Crust on Santa Monica Boulevard. Expect a thin crust and many specialty pies with toppings ranging from chicken breast, fresh tomatoes and artichokes to traditional items like pepperoni and sausage. Also find chicken wings, pastas, subs and salads, and Sicilian cannoli for dessert. Lunch & Dinner daily. NY Crust, 5421 Santa Monica Blvd., Los Angeles, CA 90029, 323-745-0400. For cutting-edge mezcal cocktails, a fine, far-ranging mezcal list and a hip, south of the border DTLA vibe, head to Mezcalero near Pershing Square. Mixologist Nathan McCullough’s inventive specialty cocktails incorporate fresh ingredients, from bell peppers to pineapple, celery and mint, as well as house-made burnt tortilla syrup and habanero tincture. Expect a nice selection of tacos, including roasted pork, fried chicken, octopus and cod. Dinner nightly. Mezcalero, 510 S. Broadway, Los Angeles, CA 90013, 213-628-3337. Eric Greenspan’s third Maré restaurant will open in Silver Lake this winter. The former Charcoal BBQ (itself part of the also defunct Barbarella) space will be elegantly reimagined as Greenspan’s signature seafood spot, likely with a similar menu to his Melrose and Santa Monica locations --- think whole branzino with fig pomegranate glaze, fried smelts with roasted lemon sauce, mussels in tomato fennel broth --- and blood orange trifolo for dessert. Maré, 2609 Hyperion Ave., Los Angeles, CA 90027, no phone. Silver Lake’s old watering hole on Hyperion Avenue, Barbarella, has partly morphed into The Friend, a fun, artsy bar featuring pinball, works by Kenny Scharf and an upscale bar menu from chef Eric Greenspan. Look for craft cocktails alongside dishes such as buckwheat, corn and artichoke blini with olive tapenade and basil pistou, charcuterie plate, steak frites skewers, avocado toast, a couscous bowl and profiteroles. Greenspan’s full restaurant, Maré, will open in the next door annex. Dinner nightly. The Friend, 2611 Hyperion Ave., Los Angeles, CA 90027, 323-522-6835. Parisian mini-chain Mon Petit Poulet has expanded to the United States with this Venice location. The restaurant's specialty is rotisserie chicken accompanied by simple sides. Mon Petit Poulet, 705 Lincoln Blvd., Venice, CA 90291, 310-314-2016. 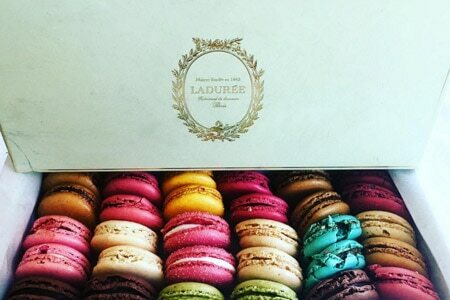 Los Angeles now has its own location of famed Parisian pastry boutique Ladurée, known for its colorful macrons. This store and restaurant at The Grove joins the global brand’s other United States branches in New York and Miami. Ladurée, The Grove, 189 The Grove Dr., Los Angeles, CA 90036, 323-456-0282. Westfield Century City is ramping up its restaurant roster in 2017, with big openings to include dumpling destination Din Tai Fung, hamburger hotspot Shake Shack and Mario Batali and Joe Bastianich’s Italian market and food court, Eataly. Westfield Century City, 10250 Santa Monica Blvd., Los Angeles, CA 90067, 310-277-3898. New Japanese izakaya Tsubaki took over the former Kush space in Echo Park. 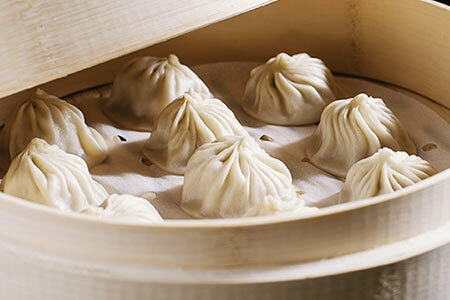 Charles Namba (Bouchon) serves classic Japanese dishes; there is also a curated saké menu. Tsubaki, 1356 Allison Ave., Los Angeles, CA 90026, 213-900-4900. Italian restaurant Osteria Bigoli has opened on Montana Avenue in Santa Monica. Chef/owner Claudio Marchesan (Pane e Vino) offers classic dishes like carpaccio, grilled octopus and an assortment of pastas. Also look for specialties such as large grilled prawns with shishito peppers and lemon, saltimbocca alla romana, grilled veal loin chop with rosemary butter, and agnolotti filled with roasted meats. 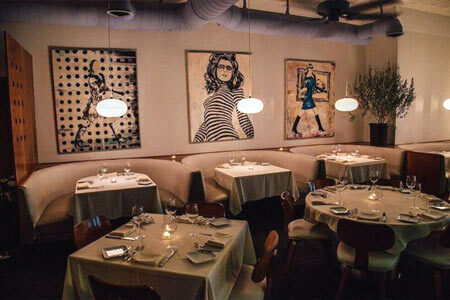 Osteria Bigoli, 714 Montana Ave., Santa Monica, CA 90403, 310-395-6619. Forage owners Jason and Chrissy Kim have opened Wolfdown in Silver Lake’s former Nicky D’s Pizza space. Look for veggie-focused seasonal California fare, plus wood-fired specialties, beer, wine and saké. There’s a large outdoor patio and bar area as well. Wolfdown, 2764 Rowena Ave., Los Angeles, CA 90039, no phone. DRAGO Centro chef de cuisine Ian Gresik is opening The Arbour on South Lake Avenue in Pasadena in summer 2017. Look for a menu of California fare and craft cocktails in a large, airy space designed by Spacecraft. The Arbour, 527 S. Lake Ave., Pasadena, CA 91101, no phone. Now open is Wild Living Foods, a “Neo-Pueblo” inspired plant-based restaurant in DTLA’s Fashion District. Look for a diverse menu including warm kelp noodle pasta, quinoa bowls and signature seasonal salads with medicinal herb blends. The breakfast, lunch and dinner eatery will also feature a wide variety of grab-n-go items made fresh each day. Santino Rice (On The Road With Austin & Santino) spearheads the beverage program introducing an assortment of juices and tonics that target improving digestion, building natural immunities and detoxification. Breakfast, Lunch & Dinner daily. Wild Living Foods, 760 S. Main St., Los Angeles, CA 90014, 213-266-8254. Chef Sascha Lyon, an alum of New York's Daniel, Pastis and Balthazar, has opened COMMERSON Restaurant. 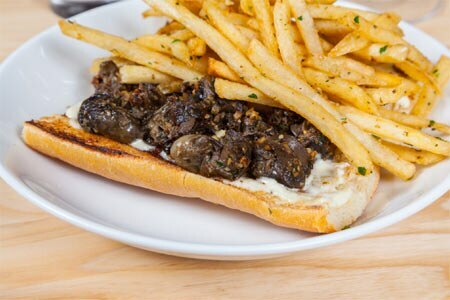 The bistro-style menu ranges from kale and Brussels sprouts salad to "A Parisian Diversion" (escargots, garlic butter, fries, baguette) to grilled rib-eye with duck fat potatoes, caramelized onions and béarnaise. 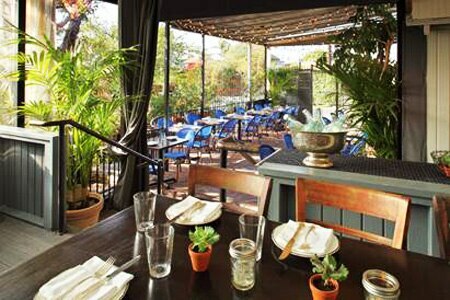 COMMERSON Restaurant, 788 S. La Brea Ave., Los Angeles, CA 90036, 323-813-3000. Celestino Drago (DRAGO Centro) and his brothers/fellow restaurateurs have opened DRAGO RISTORANTE at the Petersen Automotive Museum in Los Angeles. 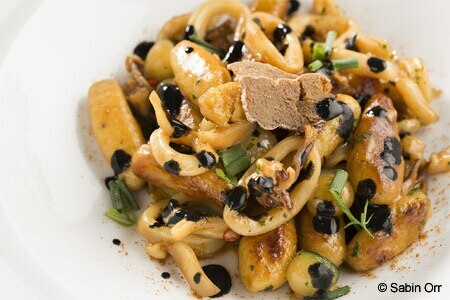 Expect Italian fare like squid ink potato gnocchi with cured tuna roe and zucchini. DRAGO RISTORANTE, Petersen Automotive Museum, 6060 Wilshire Blvd., Los Angeles, CA 90036, 323-800-2244. The founders of California Pizza Kitchen are behind the seafood-centric Brentwood restaurant bottlefish. On the menu, you'll find black cod meatballs, fish and chips and "simply prepared" plates of trout, grouper, swordfish or Scottish salmon grilled and served with a choice of salsa rioja, Sicilian herb sauce or lemon butter sauce. bottlefish, 11677 San Vicente Blvd., Ste. #200, Los Angeles, CA 90049, 310-954-9495. Miami craft cocktail bar Broken Shaker will launch its third location this spring on Eighth Street in the new Freehand L.A. hotel. Expect top mixologists and compelling, inventive garden-to-glass cocktails at the rooftop bar, and high-end Middle Eastern food at the venue, as well. Broken Shaker, Freehand Los Angeles, 416 W. 8th St., Los Angeles, CA 90014, no phone. Beer geeks will eagerly embrace the new downtown LA location of San Diego’s Modern Times brewery-restaurant. The sprawling 6,000-square-foot space will include a brewhouse, dining room, patio and an airy bar. Design elements feature custom artwork and vintage details. A vegan menu will offer the likes of pancakes with bourbon maple syrup, seitan bbq and tacos. Look for a coffee bar with specialty house roasts, too, but the real draw is rotating seasonal brews along with pilot and experimental beers. Modern Times, 830 S. Olive St., Los Angeles, CA 90014, no phone. Friends & Family Hospitality (Horse Thief BBQ, Café Birdie) will open the Sunset Junction-adjacent Bar Angeles in January 2017. Look for a menu of seasonal casual plates from chef Joey Booterbaugh (Café Birdie) and a fairly serious cocktail list alongside craft beers and wine. Bar Angeles, 4330 W. Sunset Blvd., Los Angeles, CA 90029, no phone. The former Rosewood Tavern space will soon be home to Sweet Chick, a fried chicken and waffles concept backed by rapper Nas, with a successful Brooklyn flagship already behind it and a second outpost on the Lower East Side. There will be more than chicken and waffle variations to draw foodies in, with soul food faves ranging from crawfish hush puppies and barbecue pork sliders to shrimp and grits and cornmeal-crusted catfish. Look for a late winter 2017 opening. Sweet Chick, 448 N. Fairfax Ave., Los Angeles, CA 90036, no phone. Liaison Restaurant + Lounge will open in the former Les Deux nightclub space in January 2017, offering dining and cocktails in an open-air garden with fire pits and an indoor lounge. Expect a menu of seasonal California fare from chef Nick Barainca; plates to share will include steamed root cake and sweet potato baked in salt meringue. Liaison Restaurant + Lounge, 1638 N. Las Palmas Ave., Los Angeles, CA 90028, no phone. Mexican seafood restaurant La Carmencita Oracular Kitchen is open in Hollywood on Highland Avenue. Guests choose from a range of fresh ceviches, fish tacos and other Mexican seafood specialties. La Carmencita Oracular Kitchen, 1156 Highland Ave., Los Angeles, CA 90038, 323-701-2063. L’Ami in Santa Monica has debuted lunch service, now available Monday through Friday from 11:30 a.m. to 2 p.m. The romantic open-air garden terrace is a pretty place to enjoy organic, seasonal dishes like Mediterranean seared ahi salad, moules frites, chicken paillard, a croque madame or Angus beef burger. L'Ami, 246 26th St., Santa Monica, CA 90402, 310-310-8064. Studio City’s charming Mexican seafood spot Maradentro has closed to make way for a more casual taco and cocktail joint this spring. Fans can still find most of the restaurant’s menu essentials at the Brentwood Maradentro location. Maradentro, 11929 Ventura Blvd., Studio City, CA 91604, no phone. In Chinatown’s Far East Plaza Ramen Champ closed on December 31, 2016. Ramen Champ, Far East Plaza, 727 N. Broadway. Ste. 203, Los Angeles, CA 90012, no phone. Nic's Restaurant & Martini Lounge in Beverly Hills closed its doors after its New Year's Eve bash. Nic's Restaurant & Martini Lounge, 453 N. Canon Dr., Beverly Hills, CA 90210, no phone. Southern-inspired spot Willie Jane shuttered after service on December 11, 2016. Willie Jane, 1031 Abbott Kinney Blvd., Venice, CA 90291, no phone. Lobster roll shack Knuckle & Claw has closed its locations in Santa Monica and Silver Lake. Knuckle & Claw, 2715 Main St., Santa Monica, CA 90405, no phone.